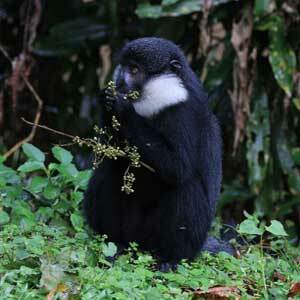 This is a Primate and Wildlife Tour of Uganda in 7 days. The safari will start in Kampala, continue to Kibale National park for Chimpanzee trekking, Queen Elizabeth national park for wildlife and Bwindi impenetrable national park for Mountain Gorilla trekking. 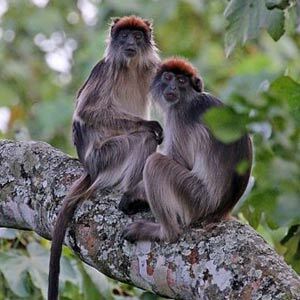 This is the home of primates in Africa, Here you find 12 primate species including; Chimpanzees, L'Hoest Monkey, Red-tailed Monkey, Black and White Colobus monkey, Red Colobus monkey, Olive Baboon, Thick-tailed bushbaby, Lesser Galago, Coppery-tailed monkey, Blue monkey, Vervet monkey to mention. The national park is also a heaven for Bird enthusiasts. This park is blessed with over 500 bird species. Queen Elizabeth National park in a ecological wonder. This park is blessed with multitude of wildlife, birds, crater lakes, fresh water lakes, hot springs. 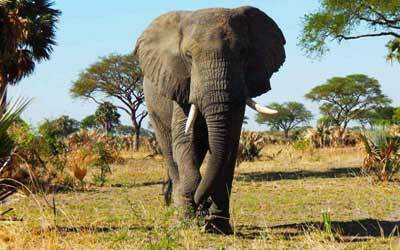 The park offers so much to explore, wildlife include; the Big Four (Lions, Elephant, Buffalo and Leopard), Hyena, Hippos, Uganda Kob, Topi and so much more. The park also has 2 fresh water lakes, Lake Edward and Lake George and these 2 lake are connected by the Kazinga channel. A boat ride on this channel gives an opportunity to spot many bird species including; Kingfishers, fish eagles, Pelicans, African spoon bill, African darters etc. 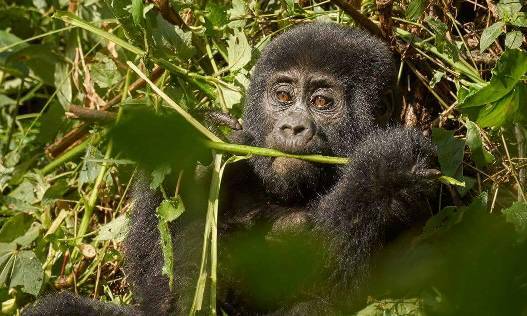 Bwindi National park is a home to more than Half of the remaining mountain Gorillas, the others being habituated in Mgahinga Gorilla park, Volcanoes National park in Rwanda and Virunga in Congo. This park is famous for Gorilla trekking and Habituation. Gorilla trekking aside, it is also blessed with bird species, forest elephants which can be seen on a lucky day and other primate species as well. 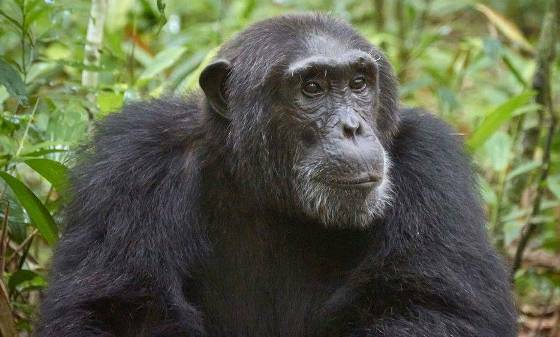 Book your Uganda 7 day Trip (Primate and Wildlife Safari tour) now! In the morning, you will be picked from point of your convenience(hotel) by our driver guide. Start on a 5 hours journey to Kibale forest national park via big towns of Mubende and Kyenjojo before entering Fort Portal town, a very green town covered by tea and banana plantations. The beautiful scenery over seeing the mountain of the moon (Rwenzori), is a good opportunity for a photo break at your convenience. Arrive at the lodge for lunch, rest and later go for a Community/ Swamp walk to start on our Primate Expedition. A very good interesting walk offering a lot; from the locals attending to their crops, primates such as black and white colobus monkeys, red tailed monkey, red colobus monkeys, to mention but a few, also many bird species are present too. After a early morning breakfast, you will drive to Kanyachu visitor centre for briefing before being led into the forest by a Ranger guide from Uganda Wildlife Authority for chimpanzee tracking which is the highlight of the safari. Walking through the rain forest is amazing, other primates that can be seen are; Red tailed monkeys, Black and white Colobus monkeys, Grey checked Mangabey, though they keep a reasonable distance from the chimpanzee. Finding the Chimps you will have an hour with them before returning to the Hot lunch with optional crater walk in the afternoon. After breakfast, depart for Queen Elizabeth national park. Another scenic drive on the foothills of Mountain Rwenzori seeing Glaciations’ on a clear day, Banana bicycles, Tomato plantations, Cotton, Tea. Pass through Kasese Town, a very famous copper mining town during the colonial era. On arriving at the lodge, we check in and have lunch Lunch. An evening game drive for a chance of seeing Lions, Leopard, Uganda kob, Elephants, Buffaloes, and abundance of bird life. Return to the lodge for dinner. With packed breakfast, you set off for a morning game drive in Kasenyi open area for active game viewing. You might get lucky of seeing Lions in action. But a sun rise in wilderness is wonderful, more animals are very active at this time like Hyenas walking back to their dens offering a great experience. Return to the lodge for lunch. In the evening we go for a Boat cruise on the Kazinga Channel. This boat ride is very worth as it brings you close to the water birds, like Kingfishers, fish eagles, Pelicans, African spoon bill, African darters, reptiles like Nile crocodiles, and monitor lizards are often seen. 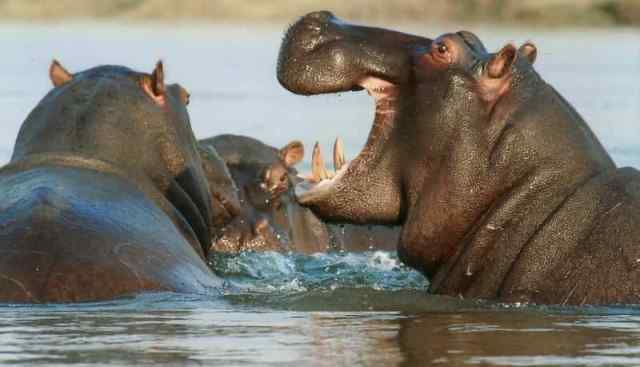 In addition to plenty of Buffalos, Elephants and Hippos. After an early breakfast, you drive to Ishasha the southern part of Queen Elizabeth national park. The 2 hour drive is very adventurous as you get to see more wildlife as we go through maramagambo forest, the largest rain forest in Uganda. A game drive in Ishasha will present you a chance of seeing the famous Tree climbing Lions, Topis, Hyenas, Leopard, Elephants, Buffaloes and a true wild landscape. This section is so close to CONGO at the river camp and Lunch will be served here. Continue to Bwindi Impenetrable National Park driving through hills and mountains of terraced land for local agriculture. On arriving, we check in the lodge have Dinner and rest awaiting Gorilla trekking the following day. Today is the gorilla trekking day. After breakfast, you will assemble at the park offices where groups are allocated. A ranger guide will be assigned and armed officers to protect you as you make the trek in the forest. The ranger uses radio communication to know the exact location of the Gorillas. Upon finding the gentle giants, spend a good quality hour with them as they feed, young ones playing about and take naps. We then trek back out of the forest and the proceed to the Lodge for dinner having completed the highlight of the Uganda 7 day trip. In the morning you will have breakfast before starting a 9 hour journey back to Kampala or Entebbe for your flight back. An amazing scenic drive through the rolling terraced hills of the Switzerland of Africa. 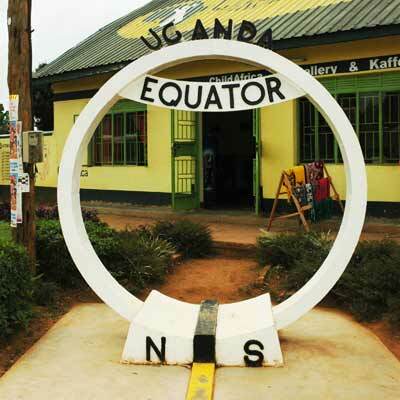 Lunch on the way and a must stop at the equator, for refreshments, stretching, and buying souvenirs in remembrance of Uganda. 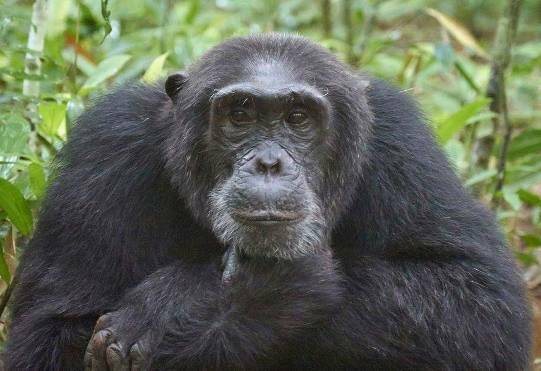 Book your Uganda 7 day Trip (Primate & Wildlife Safari Tour) Now!